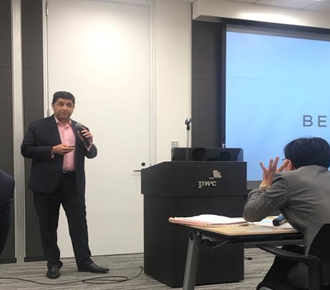 On July 11th, in collaboration with PｗC Consulting LLC, Asterisk held its third seminar on luxury residences and integrated resorts in Tokyo, Japan. The event was well received, with over 110 registered. Audience included selected parties from railway companies, travel and leisure groups, hotel management companies, real estate developers, real estate investors, asset management companies, relevant government authorities and ministries, media, luxury service providers, investment funds, construction companies, art galleries, wealth management firms, and institutional investors. 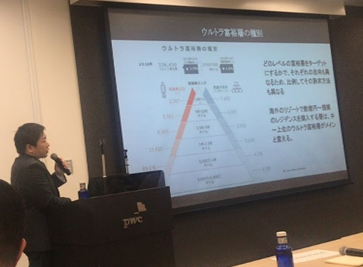 Ryuji Sawada, Real Estate and Hospitality Partner from PwC Consulting LLC opened the seminar with an outlook and expectations for the inbound market in Japan. Samuel Lim, Vice President of Asia Hotel Development for Caesars Entertainment spoke on IR`s impact on non-gaming industries – gourmet, entertainment, hospitality, culture, and community. He spoke on how Caesars elevated the non-gaming industry in Las Vegas, and how it can do the same in Japan. Tsukasa Akimoto, Deputy Minister Of Japan Ministry Of Land, Infrastructure, Transport, And Tourism (MLIT), gave a keynote speech. He discussed what luxury residence & hospitality and integrated resorts can bring to Japanese economies, and the necessary steps Japan needs to take to allow for such developments to succeed. 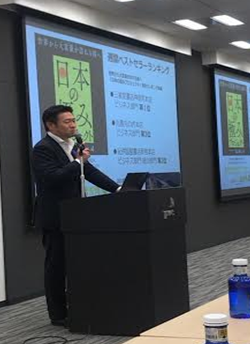 Asterisk Realty’s managing director, Yukihiko Ito spoke on the UHNW market, and the opportunities that have been created as luxury travelers come to Japan. He introduced Asterisk’s new IT based experience / lifestyle concierge, a solution technology used for luxury hotels, branded residences, and integrated resorts. Sandeep Jain, Senior Director of Development in Asia Pacific for Belmond spoke on key trends in luxury travel, and the opportunities for luxury hospitality in Japan. He went over the trends in luxury travel, the importance of experience for luxury travel, and the challenges and opportunities when attracting luxury travelers to Japan. The event was well received, with demand and interest from Japanese companies were high. We also can observe a gap between Japanese and international players knowhow for investment, services, etc. For international players, Japan is at a stage where they are looking to form partnerships and become pioneers in the new market. Asterisk can help support building the gap between both parties and create hospitality business opportunities in Japan.